A star-studded line-up has been confirmed for the 2018 Ohakune Mardi Gras, which returns to the central North Island town after a two-year hiatus. 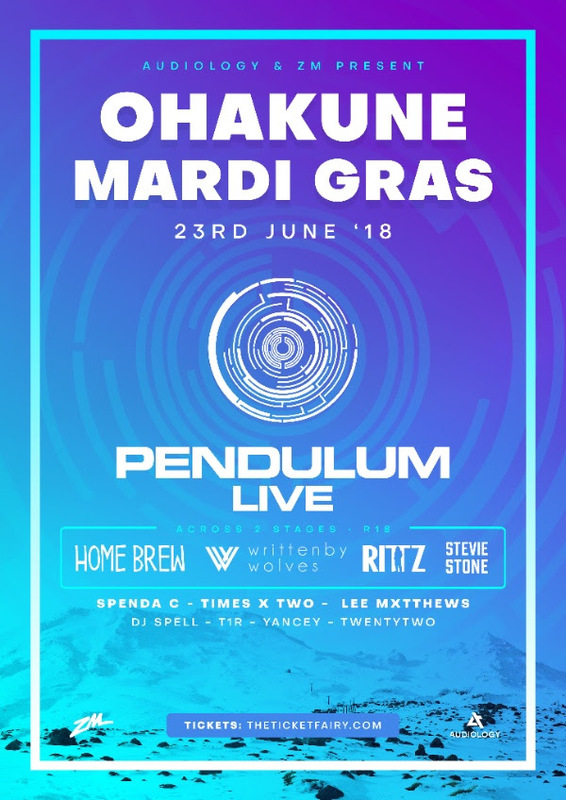 Presented by Audiology and ZM, the Ohakune Mardi Gras will be held across one action-packed day, on Saturday, June 23 and this year boasts the biggest and the best line-up in its 20-year history. Headlining the one-day extravaganza will be one of the world’s most iconic drum ‘n’ bass acts Pendulum. Earlier this year, the band officially returned to the forefront of the dance scene, announcing a string of new live shows and a remix album, THE REWORKS throughout the first half of 2018. Also being released this year is THE COMPLETE WORKS. THE COMPLETE WORKS is a limited-edition box set and includes all four Pendulumalbums on Heavyweight Vinyl, alongside an exclusive 4-CD Photo Booklet focusing on the bands key moments and memories from their personal archive, spanning from the history of inception, to the present day. The box set will see the first three studio albums completely remastered. This will be one of the first live (with full band) Pendulum show in seven years. The band is - without question - one of the most electrifying live acts around and will close Mardi Gras on the Main Stage. Also sharing the main stage will be crowd-pleasers Home Brew as they throw their distinctive blend of hip-hop into the mix. Auckland up-and-comers, Written By Wolves, who’ve been carving out a name for themselves with their unique style of rock, join the line-up; as do Stevie Stone, Rittz, Riff Raff, Times X Two and DJ Spell. Other must-sees on the Bass Stage acts include Lee Mvtthews, Yancey, T1R and TwentyTwo. Now presented by Audiology - the promoter behind a number of other notable music events, including Bay Dreams - the new Mardi Gras will stay true to the spirit of the event, which has always been known as a mid-winter celebration with a street-party vibe. This will be followed by General Admission ticket sales. 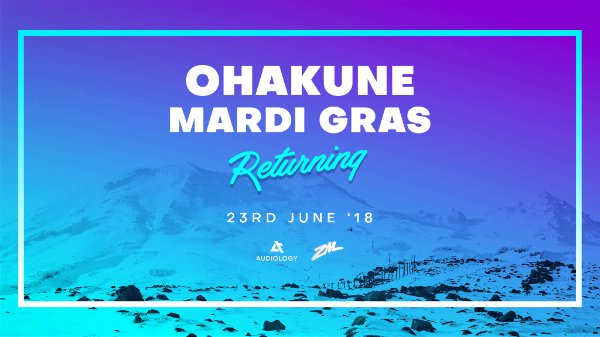 As a warm-up for Mardi Gras, Audiology is teaming up with Pato Entertainment and Fabrik to bring something special to Ohakune the night before, on Friday, June 23. Details are still under tight wraps. Watch this space!